The University of North Georgia (UNG) is one of the state’s leading universities and has a strong reputation for academic excellence, leadership development, and student success. With a unique range of educational programs and services, UNG is a special combination of programs, people and places spanning four campuses, but united by a single purpose. Formed through the consolidation of Gainesville State College and North Georgia College & State University in 2013, UNG builds on the strength of these high-performing institutions to enhance higher education opportunities and degree success. At UNG, you’ll find academic excellence supported by a student-focused learning environment. UNG offers various degree pathways for you to pursue academic and career aspirations. UNG has several options to meet your needs. Begin your journey by selecting your degree pathway and follow the steps to success. At the University of North Georgia, you will receive personal attention from your professors and experience a student-focused learning environment that fosters academic excellence and development of leadership skills that help our graduates thrive as ethical leaders and responsible citizens in a global society. UNG offers more than 100 programs of study and opportunities ranging from certificate programs to doctoral programs to help you pursue your career goals. A member of the University System of Georgia, UNG is a public university with more than 16,000 students. Designated as a state leadership institution, the university is known for integrating leadership development in its courses and co-curricular programs. 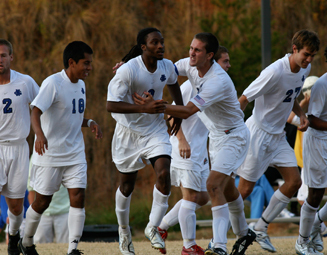 UNG is home to over 200 international students from countries all over the world. Opportunities abound for international students: concerts, clubs, Greek life, honor societies, religious organizations, music ensembles, intramural sports, academic organizations, international associations, political forums, study abroad, art exhibitions, outdoor pursuits, cultural events, aquatics, fitness and wellness. From Fall Jam to the international festival and spirit night, everyone at UNG has the opportunity to meet others and get involved. The Intensive English Program, offered by the Center for Language Education, is for participants who seek to advance their English language fluency. It is a 15‐week program for the Fall and Spring semesters. The IEL offers classes at the beginner, intermediate, and advanced level. 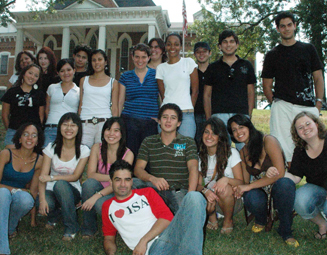 The Gainesville campus of UNG also offers ESL support in conjunction with a degree program. Students will receive the additional language support while working toward their degree at UNG. The Dahlonega campus of UNG embraces the philosophy that living in a campus residence hall is an important part of a university experience. The learning that occurs through experiences in decision-making, critical thinking, and taking responsibility within the residence halls will be invaluable throughout one's life. You are provided with opportunities to get involved from the first day you move into your new home away from home, whether it is traditional-style, suite-style and apartment-style housing. Please refer to residence life for information regarding housing options. Our associate degree pathway does not offer student housing. 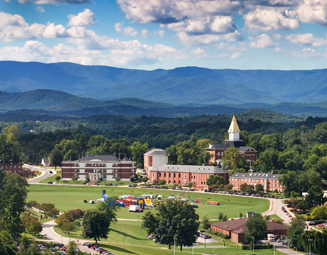 Admissions requirements for all degree levels can be found on the UNG website. Per semester costs can be found on the UNG website. International students DO NOT qualify for financial aid. It is very important for an international student to understand s/he is responsible for paying their own tuition, fees, books, and living expenses. International students attending University of North Georgia will be charged the out-of-state tuition rate. The University does have a limited number of international student fee waivers which are offered to eligible students at time of admission on a first come first served basis. These waiver will allow international students to pay our current in-state tuition rate. *Students will also pay a mandatory international student health insurance fee.